The Lustro is asMODus latest and greatest box mod, incorporating several innovations that we feel will change the world of vaping forever, starting a trend of advanced, high-tech devices with features that turn a vaporizer from a simple nicotine-delivery device into a modern piece of technology similar to a smartphone or laptop. One of the standout elements of the Lustro is the inclusion of an IR (infrared) sensor that allows for a futuristic hands free method of control that does not require the user to user the touch screen to interact with their device, turning your everyday vaping session into something you would see in a sci-fi movie. By simply waving your hand in front of the the device you may navigate through the menu or switch firing modes, an affair that you must experience for yourself to believe. Although we’re incredibly proud of this aspect of the Lustro, you are able to switch it off if you like. While we try to revolutionize the vaping industry, we won’t force you to use a method of interaction that you don’t like. The color-changing LED stripe located to the left of the display provides a degree of personalization that grants the user the ability to make each Lustro their own, lighting up either green, red, or blue gradually from the bottom to the top as the mod fires, giving the user an easy way to estimate just how long their hits are without keeping their eyes glued to the display. Behind the firing button is another LED that will always match the color of the stripe, and can be set to stay lit for up to 10 seconds after the mod stops firing. As well as providing a unique external style, together these lights act as an alert system that notify the user that their device is being activated due to accidental contact with an object or a malfunction, providing an extra layer of protection against burnt cotton and venting batteries. In addition to these two color LEDs that activate upon firing, the Lustro is also equipped with a flashlight on the bottom of the device that has two levels of brightness, a tool that will prove useful in countless situations. 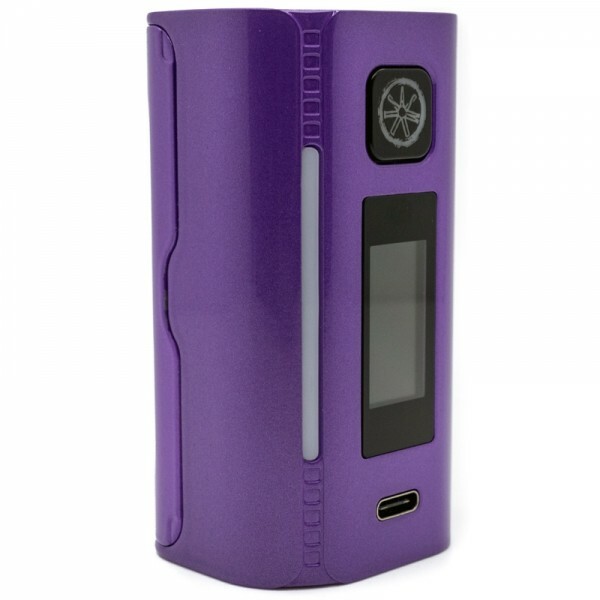 Driven by the GX-200-HUT chipset and powered by two high-drain 18650 Li-ion batteries, the Lustro is able to output a potential maximum of 200 watts and features an easy to read speedometer inspired color touch screen. 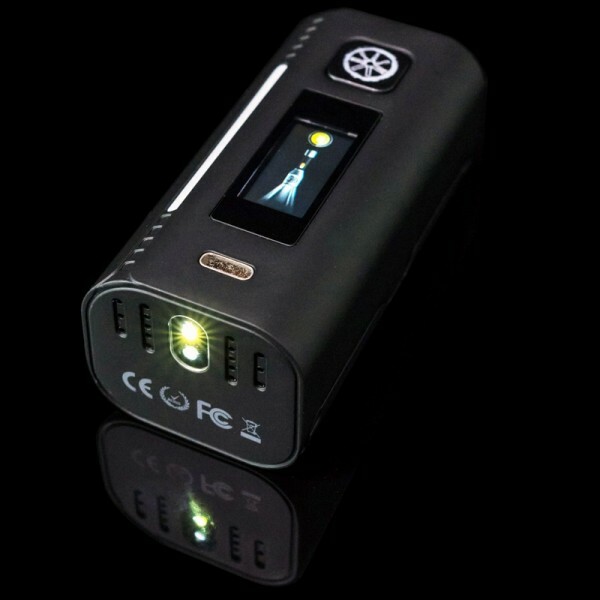 Cycling through the firing modes can by done by using the aforementioned IR sensor hands free method of control, or by swiping the mode option located at the top of the screen, similar to the Spruzza and the Colossal. A full range of firing modes ensure that the Lustro is as versatile as possible, with variable wattage, power curve, and temperature control modes as well as adjustable TCR and TFR. In VW mod, three ramping options are available: Soft, Medium, and Hard, each providing a different experience even with the same wattage setting selected. Curve mode is a unique firing mode that makes use of five separate wattage and time settings that allow the firing cycle to be tailored to one’s individual preferences or set to emulate temperature control. Example: First second can be set to burst at 90w then level down to 75w, then sit at 60w for the rest of your vape. Perfect for the massive prebuilt coils that have become commonplace, this firing mode provides a ramp time that can be fine-tuned to achieve optimum performance from your specific build. Temperature control presets included on the Lustro are settings for NI200, SS316, SS317, SS304, and titanium heating elements. Adjusting wattage: Unlocking the device is done by simply sliding your finger down the screen. Touching the wattage will allow you to adjust the wattage of the device by pressing the "+" and "-" buttons that appear on the screen. Pressing the fire button will set the wattage and return you to the main screen. Accessing the menu: To access the menu of the Lustro, you must press the fire button 5 times consecutively. You can scroll through the options by swiping left or right on the screen. 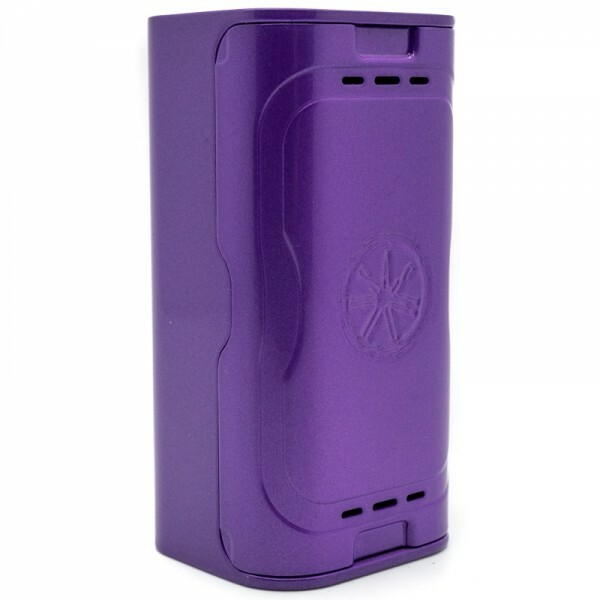 The functions are Power off, Puff Counter Limit, Puff Counter Eraser, Brightness adjustments, firmware version checker, ohm checker, and other features that will be disclosed at a future date. Switching firing modes: Switching modes on the Lustro is as simple as unlocking the screen (By sliding your finger from the top of the screen to the bottom) and swiping left and right. The firing options are as follows: Power, Temp, Curve, TCR, and TFR. To pick a specific wire type while in temperature control mode, hold the TEMP icon on the top of the screen for 2 seconds. This will allow you to switch between the following wire types: Ni200 Nickel, SS304 Stainless steel, SS316 Stainless steel, SS317 Stainless steel, and Ti Titanium. No claims, representations or warranties, whether expressed or implied, are made by E-CIGDO and asModus as to the safety, reliability, durability and performance of any of our companies\' products. Furthermore, E-CIGDO and asMODus accept no liability whatsoever for the safety, reliability, durability and performance of any of products or content found within this site. In no event shall our company be liable for any direct, indirect, punitive, incidental, special consequential damages, to property or life, whatsoever arising out of or connected with the use or misuse of our products. By purchasing any product found within the content of our site, buyer agrees to hereby release and forever discharge E-CIGDO and asMODus, their directors, officers, agents, employees, representatives, volunteers, attorneys, assigns, and affiliates from any and all claims and demands of whatever kind of nature, whether known or unknown, that arise out or are connected in anyway whatsoever with any first aid, medical treatment or services rendered a buyer because of buyer's use of the product. E-CIGDO and asMODus will not be held responsible or liable for any injury, damage, or defects, permanent or temporary, that may be caused by improper use of any item found on our site or asMODus. Please have a basic understanding of batteries and or any item found within this site and how to care for them properly. asMODus Nefarius Squonk TF-BF RDTA features user-friendly two-post build deck with dynamic side airf.. Coil Master's High Quality 8 different kind of advanced pre-built premium coils This item is for J.. 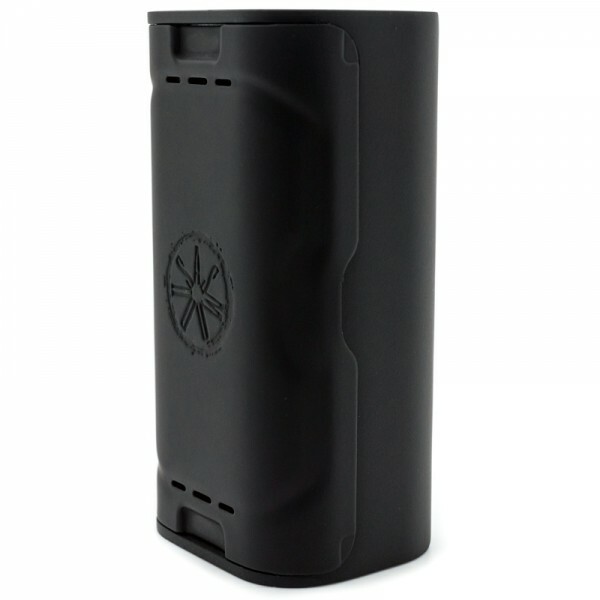 AUTHENTIC Vandy Vape KYLIN RTA, Plethora of airflow holes,side and bottom,to direct air centrally at.. AUTHENTIC high quality Sony 18650 BatteryAUTHENTIC! 2pc of LG HG2 18650 3000mAh Battery 20amp Flat T..
One of the best melon vapes. Great value!This item is for JAPAN Domestic Shipping only ..